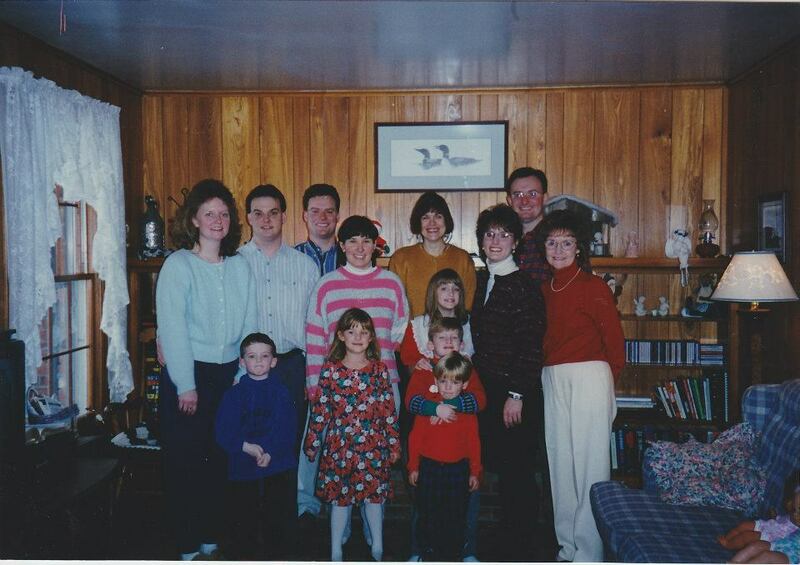 An old family photo, of (a selection of) the people who matter most. This holiday season, I’ve been thinking a lot about what’s important or more importantly, maybe, what’s not. We always have the best of intentions, don’t we? We plan to do it all, see it all, send cards to everyone we’ve ever met, bake cookies that would put Betty Crocker to shame, give gifts that astound and throw parties the attendees will talk about for years. And then December comes, the days fly by like snowflakes and the cards don’t get done, the cookies come from a box, the gifts are well-intentioned and the parties, well. Someone spills wine on the carpet, the uncles argue and the aunts ruin the roast. You get the idea. It seems like just yesterday I was sitting at the bar before a season-opening concert of Handel’s Messiah in November, planning what we wanted to do, this holiday. And now, it’s almost New Year’s and I’m writing the same blog post everyone’s writing, or thinking or bemoaning: that everything didn’t get done and the season hasn’t been the vision of perfection we imagined. But why are we imagining it that way, I wonder? Why do we strive for perfection, when it’s such a subjective, fabricated ideal anyway? Several times this season, I’ve tried to step back and think about what means the most. What we need, as human spirits, to feel fulfilled. Sometimes, we have to decide what to let go, what to stop caring about, in order to remember to care about what matters. This New Year, I’m making only one resolution: not to. Because when we let ourselves get so caught up in whether the scallops brown perfectly, whether the napkins match the tablecloth or the present is the best one the recipient will get this year, or maybe ever, we don’t remember to cherish the people who make it all worthwhile. This is a reminder to myself as much as anyone: that none of us is an island, and if we were, we wouldn’t be worrying about the trivial accessories to perfection most of us mistake for the centerpiece. That centerpiece is community. Whether that be family, friends or the family your friends have become, this is a call to be there with them, for them, this season. I know I forget that, sometimes. I forget that no one cares what the table looks like, whether my lipstick is on straight, whether we say the right thing at the right time to the right person. What we need to care about is each other. All the time, starting right now. It may not be a new sentiment. It may not be an original one. But it’s important. This New Year, remember one another. And go ahead and buy the damn cookies. Those professionals are paid to make them for a reason. Previous Let’s talk packaging: what’s your cover?